As you probably know, this is the 10 year anniversary of when Hurricane Katrina first made landfall near New Orleans. It was a Cat 4 storm and caused more than 1300 deaths and almost $200 billion in damage. One hundred and forty years before that story, another event occurred in a little town in northeast Ohio. It was the birth of a little boy that would make a huge impact on the American people and the world. That would be in the years to come. On this day, Martha Kettering was happy he was a healthy boy. His father, Jacob was glad his wife had survived the ordeal of childbirth. Anyone that has a driver’s license has probably used a key to start their car. For those that don’t know what happens when they turn that key, in its most basic concept, allows a jolt of electricity to run from the battery to a motor that actually turns or cranks the engine. Sparks are then ignited in the piston chambers that cause a mixture of air and vaporized gasoline to explode. Once all of the cylinders start revolving, the starter motor quickly disengages from the engine and it continues on its own. Sure, everyone knows that you say. But if you ever see any of those old movies where the guy has to stand in front of the car and turn a crank to get the engine started can appreciate what it was like before the self-starter was invented. Thirty -nine years after this day in 1856, Charles F. Kettering, got his patent for the electric car starter. Kettering’s electric starter had been first installed on the 1912 Cadillac. By the early 1920s Kettering’s self-starting motor would be installed on just about every car made. That refinement in automobile ownership made the automobile more attractive, especially to women. 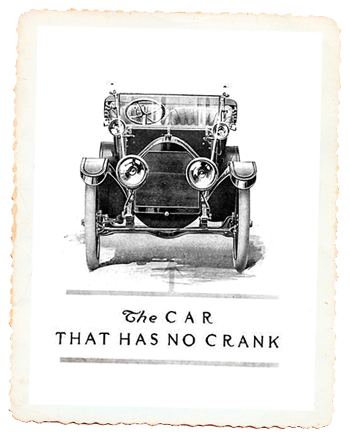 It was the beginning of the automobile culture that continues to this day. 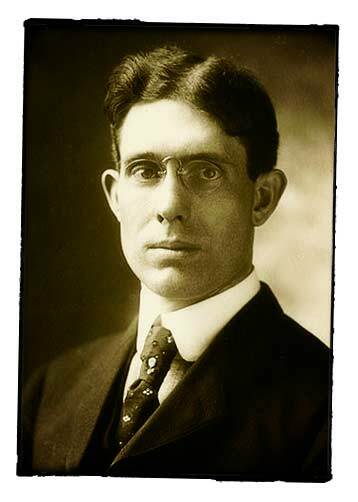 Kettering and his company, DELCO (Dayton ELectronics COrporation), went on to create a number of improvements to the automobile including shock absorbers, the automatic transmission, quick-drying automotive paint, and safety glass. Although he was most famous for his contributions to the auto industry, Charles Kettering is also known for developing several medical innovations such as an incubator for premature infants, venereal disease treatments and a number of magnetic diagnostic devices. During his time at DELCO and later at General Motors (GM), Mr. Kettering accumulated a great fortune. In 1945 he and Alfred Sloan, another GM vice president, used their wealth to establish the Sloan-Kettering Institute for cancer research. In 1856 on this day Charles Kettering was born in Loudonville, Ohio and over the next 82 years of his life he would be awarded 140 patents for things that we take for granted today. Charles is 159 years old– be sure to wish him a happy birthday and say thanks!